Here are some compelling reasons why we ought to eat more sweet potatoes, followed by a super good recipe to help us do just that. · This B vitamin is crucial for maintaining healthy blood. Your body uses B6 in the process that carries oxygen through your bloodstream. · You also need vitamin B6 to properly break down carbohydrates. Without it, you’d suffer from reduced energy levels. 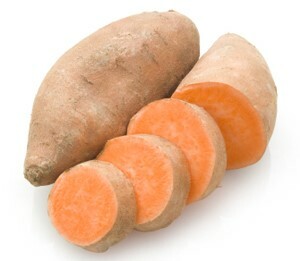 · Our bodies also use the vitamin B6 found in sweet potatoes to support brain health and mental health. There is research suggesting the a B6 deficiency is linked to depression and to ADHD. · They are heroes in liver support. This vitamin is a key to helping your liver break down chemicals and other junk in your body, so that your liver can process them properly. Vitamin A is another solid reason to indulge in this vegetable. 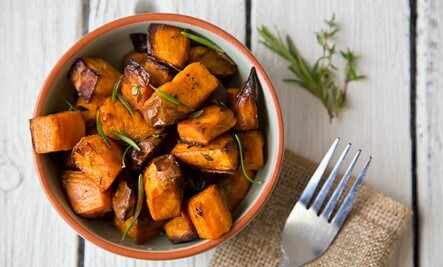 Research says that sweet potatoes do the best job of raising blood levels of vitamin A, especially in children. And the same research found that vitamin A absorption is maximized if you include a little bit of fat with your sweet potatoes. A drizzle of olive oil or a side of sliced avocado is all it takes. Anthrocyanins , the pigments that give sweet potatoes their vibrant, are powerful antioxidants and anti-inflammatories and sweet potatoes are chock full of them. 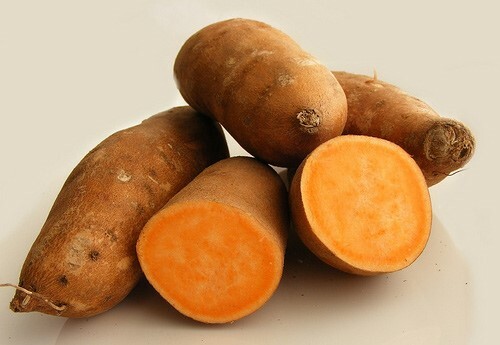 Manganese is abundant in sweet potatoes. They provide 50% of your daily manganese, which is nothing to sneeze at. Manganese supports bone and skin health, and it helps control your blood sugar levels. 1. Like spinach and kale, sweet potatoes are high in oxalates. If you suffer from kidney or gallbladder issues, you may want to limit your sweet potato consumption. For people with healthy kidneys and gallbladder, however, this isn’t a concern. 2. Because of the high vitamin A content. In moderation, vitamin A is a critical nutrient, but since it’s a fat soluble vitamin, it’s possible to eat too much of it. 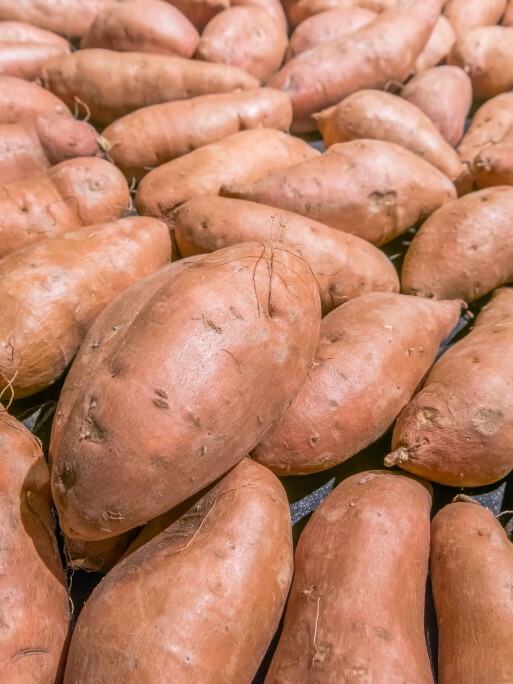 If you are eating sweet potatoes all day every day, you can experience a skin condition called Carotenemia, which causes your skin to turn orange. Backing off of orange foods for a while is all it takes to clear up this condition, though. OK, now the promised recipe. I found this on How Sweet It Is (www.howsweeteats.com). 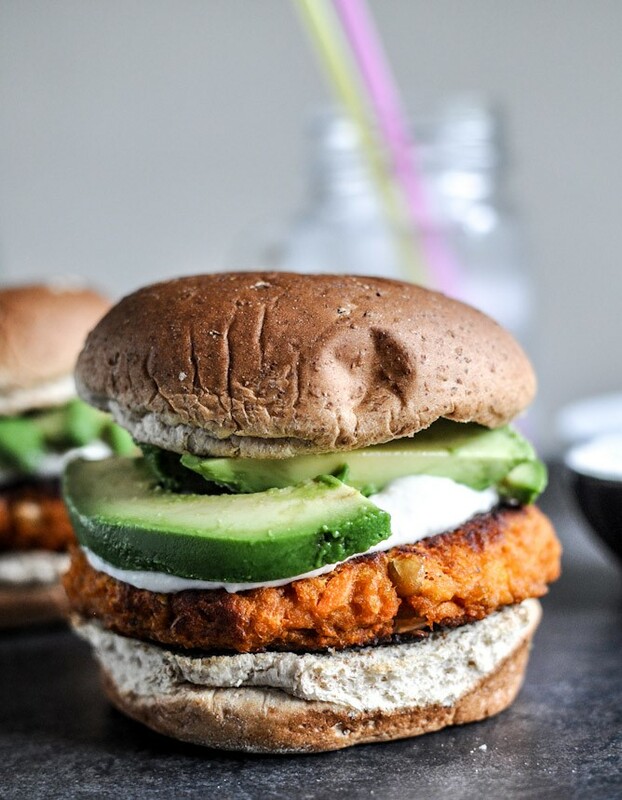 Author Jessica says “Bake and mash some sweet potatoes, form into burger patties and cook. Top them with some roasted garlic sauce and avocado slices. The key is to get the outsides really crispy.” This recipe takes a bit of work, but when you have the time and are in the mood, give this a try. These are good! Pierce potatoes with a fork, place on a paper towel, and microwave for 5 minutes; turn and cook for 5 minutes more. Remove. When cool, slice in half and scoop out the flesh. In a large bowl, coarsely mash beans with a fork. Combine beans and mashed sweet potatoes; add in spices, salt and pepper, minced garlic, egg, panko crumbs, and flour. Mix well then refrigerate for 15-20 minutes. Cooling will make it easier to form patties, but the process will still be somewhat messy. While mixture chills, in a blender or food processor combine yogurt/sour cream with roasted garlic (squeezed), maple syrup, and a sprinkle of salt and pepper. Process until smooth; set aside until ready to use. In a large skillet over medium heat warm olive oil. Remove mixture from fridge and form into 4 equal patties, then place in the skillet once hot. Since the mixture can be wet and messy, do not move patties until they are fully cooked and golden on one side! This takes about 5-6 minutes. Then, add more oil if needed (this really helps cook them) and flip burgers very gently. Cook for another 5-6 minutes. Toast buns if desired.